My favorite dish for Thanksgiving is stuffing. I really love the stuff (no pun intended - ha!ha!). These days I am trying my hardest to do the low-carb thing. It's certainly not easy during the holidays. I made a promise to myself at the beginning of this month that I was going to try to make a low-carb friendly version of stuffing. 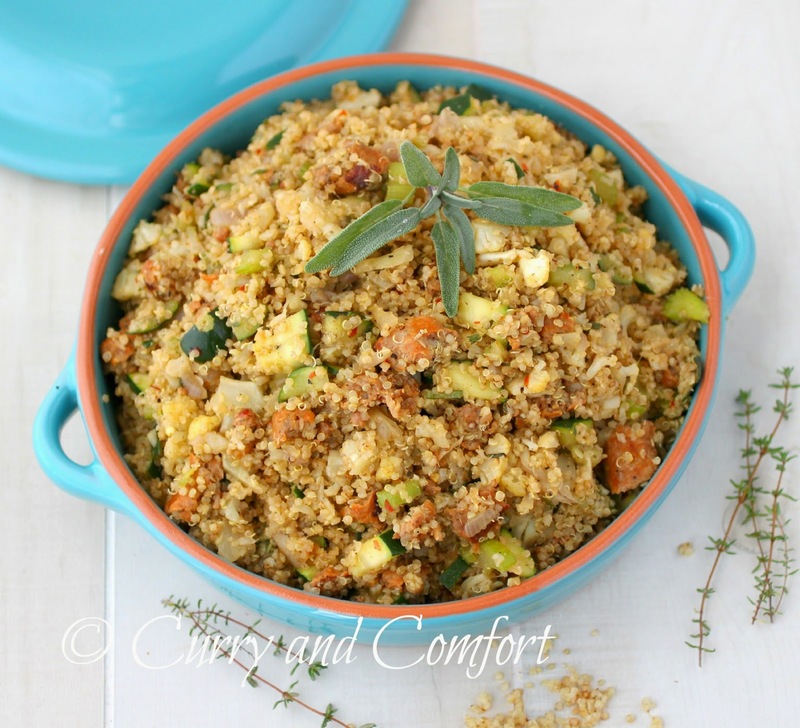 So I thought of my favorite sausage and bread stuffing and went from there. I knew I could keep the sausage, but the bread had to definitely go. Next, I went to my favorite go to low carb vegetables- cauliflower and zucchini to help fill out the stuffing. Then, I realized that I still needed a sort of grain to help pull everything together and that's when quinoa entered the picture. I hope you like my idea of a low-carb friendly stuffing. Now, I'm all ready to get "stuffed" full of stuffing on Thanksgiving Day. I can't wait! 1. 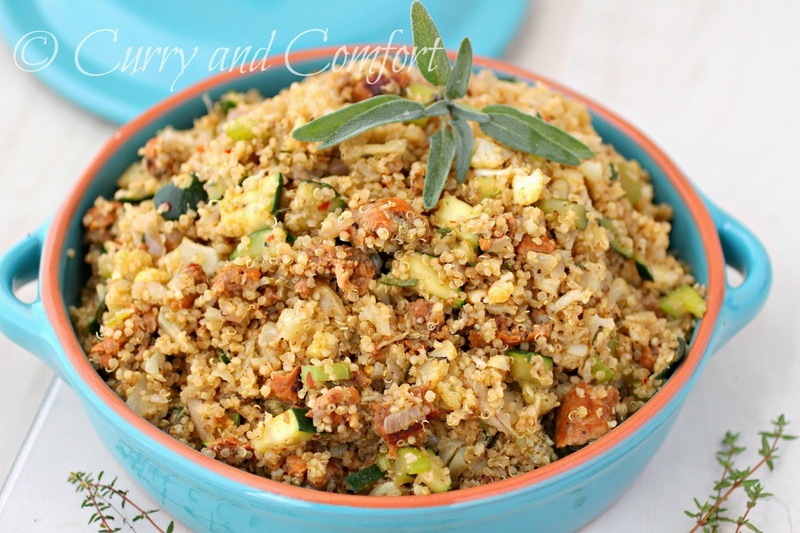 Cook quinoa and set aside. 2. Then brown sausage. Remove sausage from pan and leave 2-3 Tbs of sausage dripping in pan for vegetables (or add oil if needed). 3. Saute the cut vegetables with a little salt and black pepper. 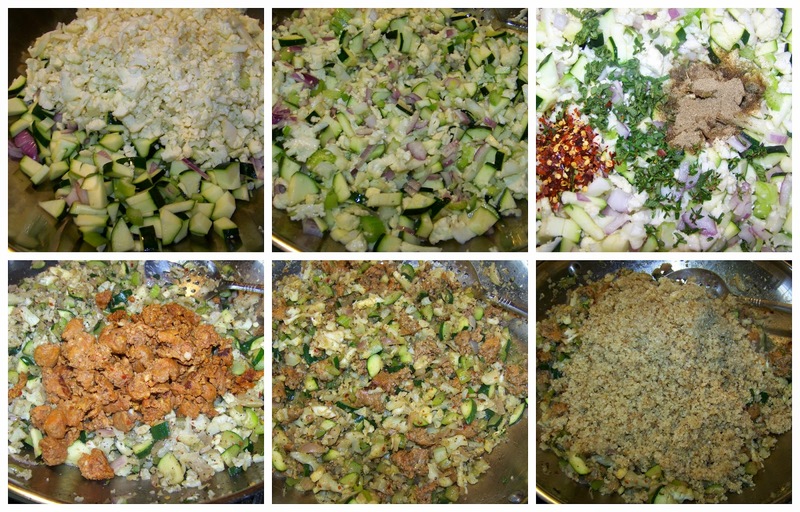 When vegetables are softening, add poultry seasoning, fresh thyme, sage, granulated garlic and red chili flakes. Saute for a few more minutes then add browned sausage back to pan. 4. Finally add quinoa and chicken stock and mix all together. Adjust seasoning as needed. Serve hot. Enjoy. I've only had quinoa once and was pleasantly surprised. 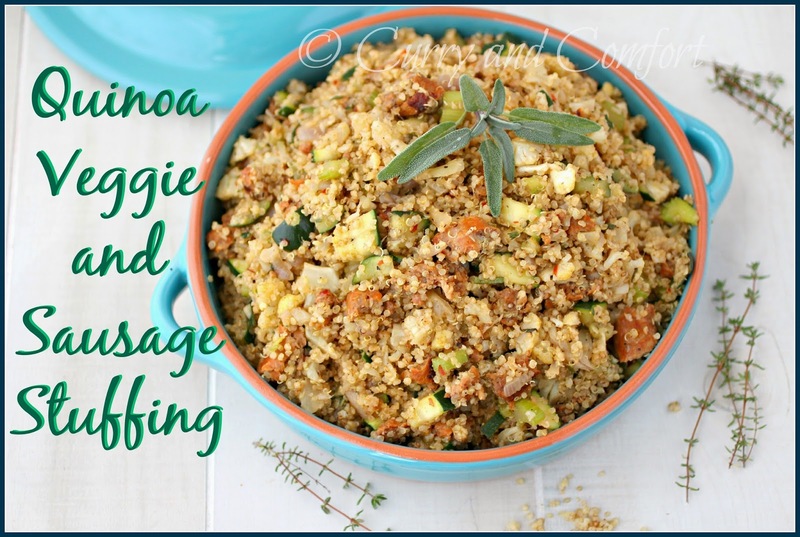 This sounds like a delicious alternative to traditional stuffing. These are bits of exceptionally valuable data that will be of incredible use for me in future. I feel this is one of the extremely yummy dishes. Much thanks for your recipe. I will attempt it. If I make this recipe, they definitely like this. Please share your other ideas here, buy essay online if you need perfect dissertation writing service.